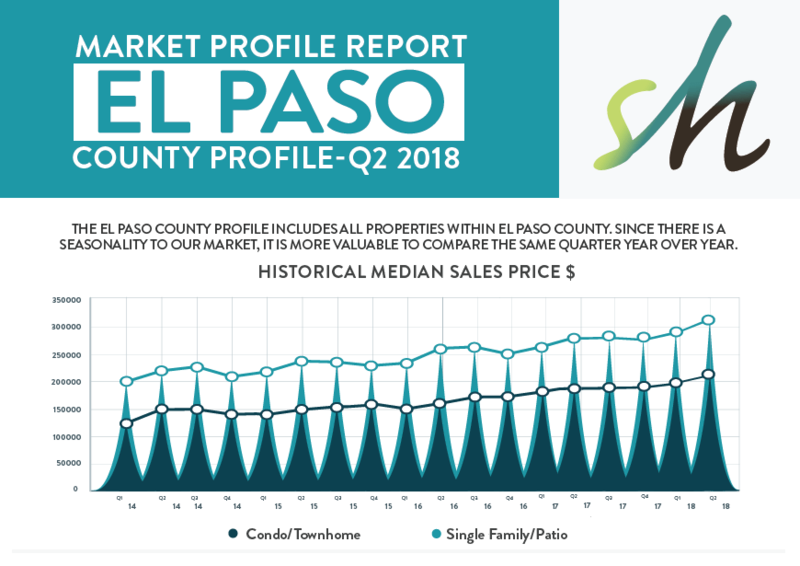 Q2 has brought us both hot weather and a hot real estate market. Although Buyers are still feeling the eects of the low inventory, there is some relief in sight. In the lower price point ranges, the months of inventory has increased compared to Q2 2017. 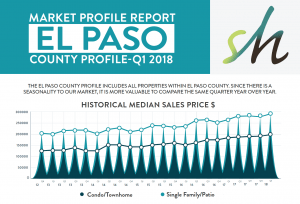 This may be partially due to an increase in the building of single family as well as multi-family units across El Paso County. Like with most regional real estate markets, we anticipate our annual slow down to happen in late Q3 and into Q4. Don’t forget the Housing and Building Association’s Annual Parade of Homes this year. The Parade of Homes is an annual event showcasing the newest home designs. Take a tour of newly constructed homes from the mid $200’s to $2.8M throughout the Pikes Peak Region. Homes will be open Fridays-Sundays from August 3rd through August 19th. Stayed tuned for our Springs Homes Parade of Homes ticket giveaway on social media. You may be one of our lucky winners! Springs Homes has been producing market reports for Colorado Springs since 2010. The benefit of reading through these reports is to gain an understanding of the current market to see trends and to be able to predict what is coming up in the future. Whether you are a home seller, or a home buyer, these market reports will give you an in depth understanding of the Colorado Springs market by area and price point which will give you an edge when heading toward your next sale or purchase of a home. Visit the archive of our past market reports to take a stroll down memory lane, or download a copy of the current market report.